The long awaited New Generation Adjustable Hobo Pack was designed to answer these three most requested features. "Can I adjust the strap length?" "Can I remove the crossbody strap?" "Can I have all three functions, the long crossbody strap, short shoulder length strap, and backpack option with just one strap?" All of these requests are answered with this new design. With our much loved Original Hobo Pack, the crossbody strap hangs down when using the clip on short strap, clients have loved the look from the beginning, but it does not always work for the client that mostly uses the short strap. This new design is also perfect for the client that would like to be able to adjust the length of the strap from shoulder to crossbody and every length in between. Perfect for travel and for everyday with its unique soft drape and three in one function. 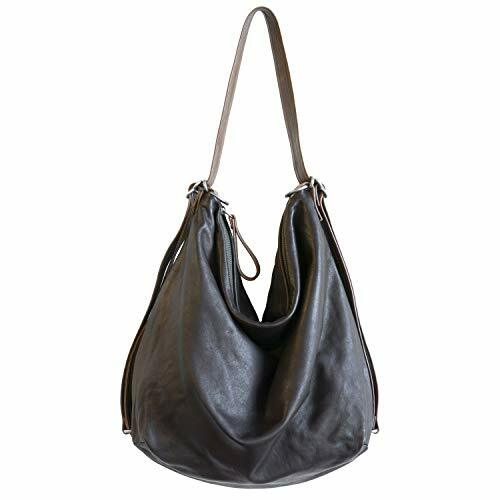 Most women enjoy the New Adjustable Hobo as a shoulder or crossbody bag. Some women wear it as a pack exclusively and some never wear the Hobo as a pack. Pick your favorite way!